El Nido-Taytay Managed Resource Protected Area is part of the Tentative list of Philippines in order to qualify for inclusion in the World Heritage List. The property is one of the largest marine protected area in the Philippines. In terms of World Heritage inscription "dreams," it is nominated under (ix) and (x), but I feel the inclusion of El Nido's cultural assets will further enhance its heritage values. 1) Archaeological diggings in Ille Cave, Dewil Valley (eastern portion of El Nido) reveals first report of human cremation burial ritual in Southeast Asia; 2) within the many limestone formations are home to balinsasayaw (Palawan swiftlets), whose nests are highly valued for medicine and culinary arts; and 3) some of El Nido is home to the Tagbanwa indigenous tribe. 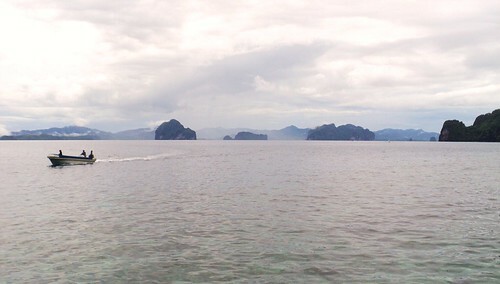 While I am on the subject matter of "enhancement," the inscription of El Nido-Taytay MRPA should also go hand in hand with the (possible) inclusion of a nearby key biodiversity area - the Malampaya Sound Protected Landscape and Seascape, home of the endangered Irrawaddy dolphin. The archipalego's around El Nido and Taytay are certainly of "outstanding universal value." Bacuit bay is an incredible panorama of pristine islands, teeming with biodiversity. Snorkeling anywhere in Bacuit bay and its countless islands is a rewarding experience. The islands around Taytay are also exquisite, though far less developed than El Nido, this is both a positive and negative. I loved every second I spent in the El Nido - Taytay area. Palawan is truly a paradise. The only factor that may or may not prevent this site from being inscribed is the Resorts. They certainly boast of their "green" credentials, but it is difficult to know how much is fact and fiction. Incredible place, at least the equavilant of Ha Long Bay, and from what I have heard far better preserved. Hopefully, it will not suffer the same fate. I imagine the creation of a nomination dossier would take an enormous amount of effort and would be quite expensive. The research involved, categorizing the various islands, the creation of buffer zones and appropriate boundaries, while navigating around or cooperating with certain resorts might prevent this tentative site from reaching inscription. 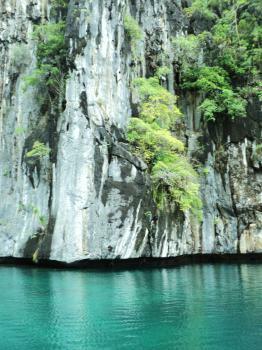 I hope one day to return, Palawan is special. The landscapes of Palawan are very much like those surreal travel magazine cover photos that look too perfect for real life. 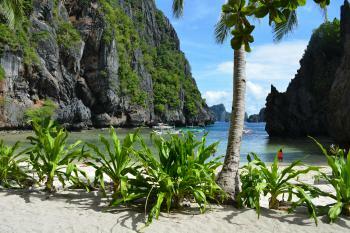 In Palawan, the coastal areas are stunning and the people kind. From "El Nido Marine Reserve" to "El Nido-Taytay Managed Resource Protected Area"